Black Pink held a two-day concert in Jakarta, Indonesia, Saturday and Sunday as part of the band’s ongoing international concert tour. The quartet entertained fans throughout each two-hour show with a series of hits from their early days such as “Boombayah,” “Whistle” and “Ddu-du Ddu-du.” The latter, released in June 2018, recently hit the 617 million views mark on YouTube, overtaking BTS’ “DNA” as the most viewed K-pop video on the website. Each of the four band members also performed solo, including Jennie with her hugely successful “Solo” from November 2018. Jennie was the first of the Black Pink singers to debut as a soloist. “Thank you for giving us such a warm welcome,” the band members said in a surprise thank-you speech delivered in Indonesian. Black Pink’s tour kicked off in Seoul in November at the Olympic Gymnastics Arena in the city’s southern district of Songpa-gu. Having wrapped up in Bangkok and Jakarta, the group will continue on to Hong Kong on Jan. 26, followed by Manila, Singapore and Kuala Lumpur in February and Taipei in March. 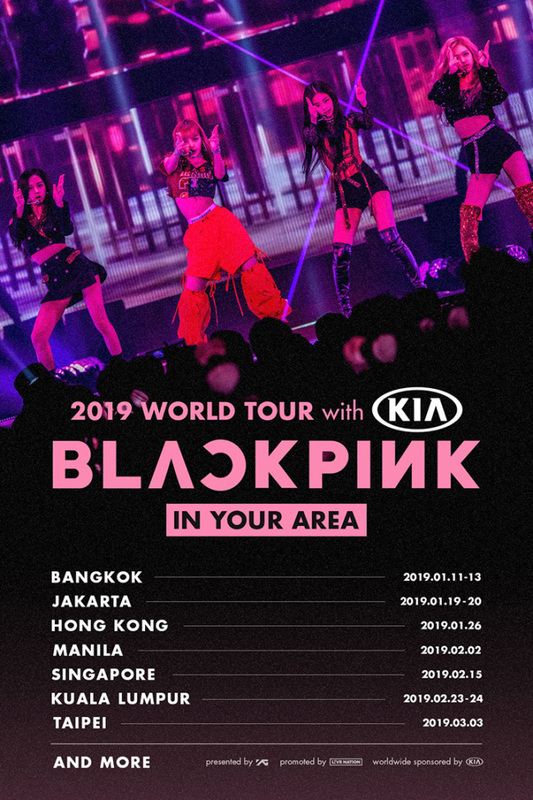 YG Entertainment announced on Jan. 10 that the concert tour, called “Blackpink in Your Area,” would expand to include North America, Europe and Australia later this year.